In this two-day course, you will learn about enterprise file sharing and synchronization with Citrix Content Collaboration. You will gain the skills and understanding needed to configure and manage your Citrix Content Collaboration environment, including implementation of StorageZones and the Windows and Citrix Virtual Apps and Desktopclients. Additionally, explore your control plane and data storage options; end-user management; and client deployment on Windows physical and virtual desktops. This course will give you an understanding of Content Collaboration administrative responsibilities and teach you how to navigate the administrative console for facilitated deployment and file sharing success. This course is designed for IT professionals with little Citrix Content Collaboration experience. 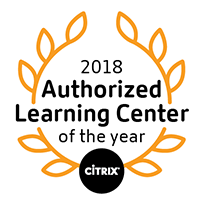 This course is built for IT Professionals interested in learning how to implement Citrix Content Collaboration features using leading practices. Potential students include Administrators, Implementers/Engineers, and Architects. It is recommended students have a basic understanding of: Windows Server administration, Citrix Virtual Apps and Desktops, Microsoft Exchange and Outlook, and Basic Enterprise File Synchronization and Sharing. This course helps prepares candidates to get the CC-SHAREFILE certification.